It was pleasant meeting you at MFRT meet @ Pune. 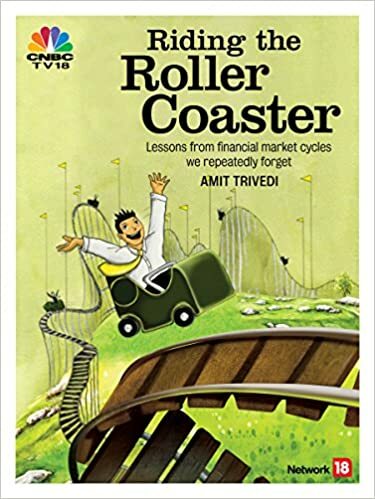 Apart from the meeting proceedings and rich free bees at AMC stalls, I stumbled upon a humble stall selling, “Riding the Roller Coaster” at a discount! Upon reading the book, now I realize that the book deserves a premium. My sincere impression about the book : Excellent. Simple presentation but highly relevant to Indian markets and Indian mindset! I could see your clarity of thought all through the book. In fact, it was more of a ‘concise encyclopedia’. You have connected every possible dot. I was not aware of LTCM or Mazda of Harshad Mehta and many other facts presented in the book. Blending Bhavat Gita and behavioral psycology was great. And the objective of the book ‘Safeguard your portfolio’ – in page no :198-205 is mind boggling. Beyond everything, thanks for those ton’s of books you referred in the book. That makes life easy to pick the next one. By and large, it was a full filling experience reading the book. Im referring this book to my investors and I’m doing a review on this book at a forum called ‘Madurai Readers Club’ shortly. I believe your book is a Gift to the Investing community.